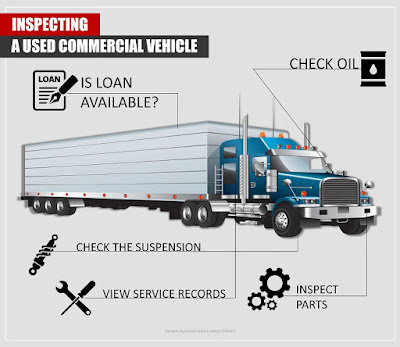 Here are some useful tips to check the used truck before buying it. Have a look to make a sound buying decision. As it is said owning a car is never a problem however keep it tip & top it is certainly one. There are things that you should definitely consider before making a buying decision. Maintaining a car is far more difficult than it is looked upon as. From regular servicing to regularly conducting specific checks of different parts of car, a car requires your complete attention. If you don’t care for your car, it might not work right in future. Other thing to consider is the fuel that your car will require. As you spend significant amount it is essential to take care of it and one of the ways for this is to manage to get a better fuel economy. 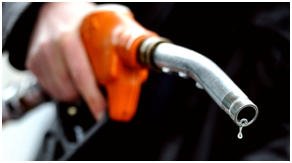 It is important to save fuel so that the car performs better and also a lot of your money is saved. Don't worry any further; here is an auto guide for car owners on how to save fuel and get better fuel economy. Do not run engine idle for long – Whenever you stop at a long red light make sure you switch your car’s engine off as it will save you good amount of fuel. Also when you are waiting for your family of friend in the car, you can switch off the engine, this will help you drive an extra mile. 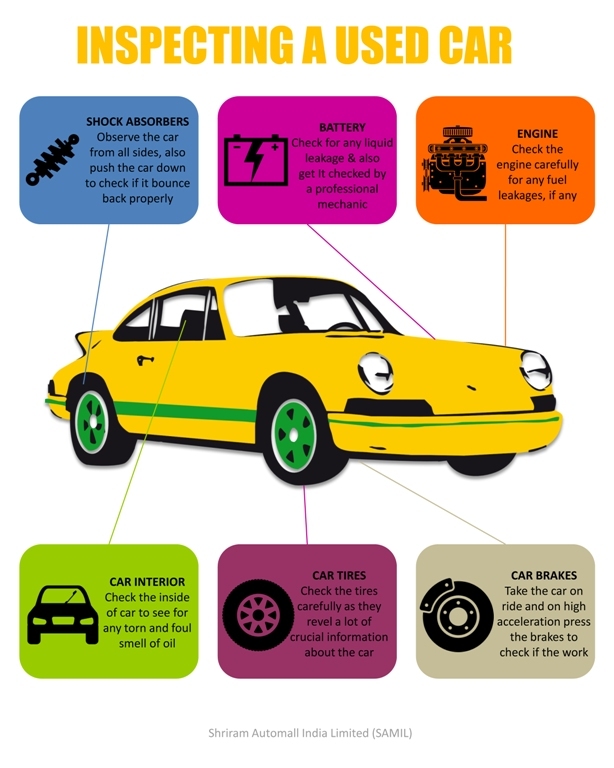 Engine Tuning – Maintaining your car’s engine well is one thing that you should take care of. Always keep your engine tuned up and keep it in better condition so that you don’t have to shed a large sum of money when problem comes up later. Never ignore the regular check-ups and maintenance. The air filter should be dirt free & never hesitate to replace the dirty air filter to avoid damaging the engine. Check Tire Pressure – you car drives on its tires and you should always know that the adequate tire pressure will help you drive an extra mile as less air in your car’s tire will require extra effort and in turn burning more fuel. Always check the air pressure to keep a check on fuel consumption. Avoid Overweighting – The more load in your car the less mileage you will get. If you are going for a long journey ensure that you give the utmost attention to the point that you should avoid carrying excessive weight with yourself. A car that is loaded with unnecessary weight consumes more fuel & has the negative impact on the mileage. Checked Air Condition Usage – Everybody knows this fact but doesn’t follow, that keeping the air conditioner switched on for a long time leads to more fuel consumption. One should constantly monitor and keep the ac off after the sufficient cooling has been done. The year 2016 has been regarded as the year in which the automobile industry saw the most growth across all segments. Both the new and used automobile industries are on a growth trajectory with impressive spikes in sales, production, and exports over the last two years. With an average production of around 24 million vehicles annually and employer of over 29 million people (direct and indirect employment), the automotive sector in India is one of the largest in the world. India is the largest three-wheeler and tractor manufacturer, 2nd largest two-wheeler manufacturer, 2nd largest bus manufacturer, 5th largest heavy truck manufacturer, 6th largest car manufacturer and 8th largest commercial vehicle manufacturer. 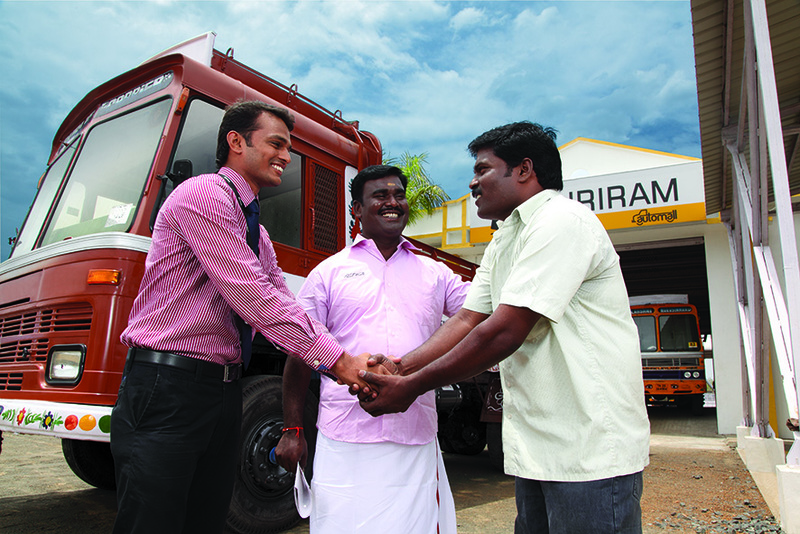 2016 has also been a great year for Shriram Automall India Limited as the company was successful in expanding its road to even the remotest corner of the country. The company inaugurated 7 new well structured Automall across the country which is now attracting more than 500,000 customers throughout. SAMIL was successful in collaborating with more than 10 leading Banks, NBFCs & OEMs this year with the aim to source the best inventory for its customers and in return get the revenue out of the unused assets of these entities. Mobile Bidding Application – The application helps you to bid on your desired vehicle in the comfort of your home, pay the RSD amount through various payment options & even contact nearest Automall. Indian Brand Convention - Most Promising Brand & Best Online Market Place in Pre-owned Automobile Industry"
The CRISIL rating of AA+ has also been reaffirmed by the body which boosts the confidence of its customer in the brand. On the verge of 2017, the company aims to reach more and more customers by opening Automall at untouched locations. Getting equipped with latest technology, support the dream of our Hon. Prime Minister of being a cashless economy and more. 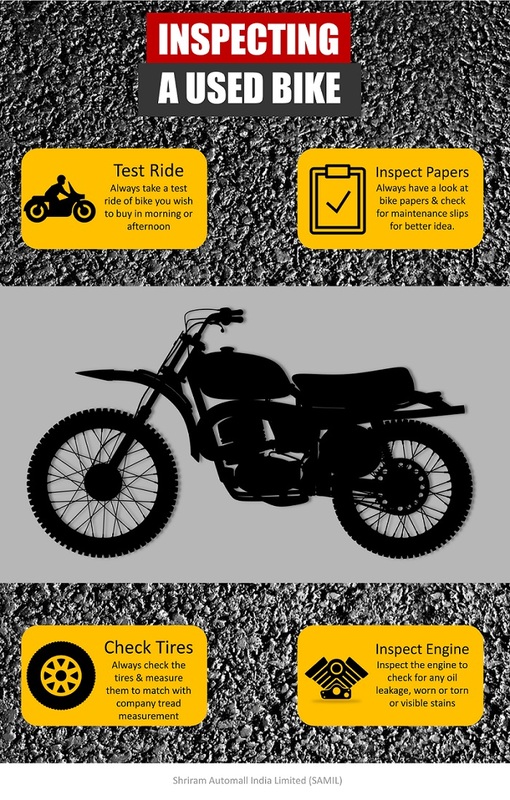 Buying a used bike? Consider these steps to be prepared and buy the best of available options. Have you ever come across an ATM like machine when you visited your nearest Shriram Automall? 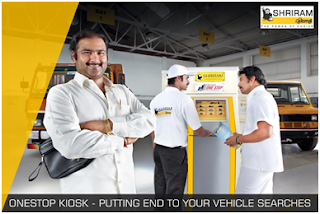 If not then today we provide you with enough reasons why the KIOSK is your ultimate solution for identifying the vehicle you like and even posting you requirement easily. It is the OneStop destination for all your used vehicles & equipment requirements. Here is why you should stop at the OneStop KIOSK. This single machine carries detailed information & pictures of over 4,000 pre-owned vehicles and equipment from across India. So, whatever may be your demand, we have a supply in return for it at the OneStop Classified Kiosk. Simple, Easy & Quick is how we regard the KIOSK as. Getting acquainted is not a problem at all, it houses a simple & interactive interface that it takes no time to learn and & once you are done you’ll definitely enjoy using it. Because, the search of your dream vehicle becomes quick and easy here! Registration as a customer through the OneStop KIOSK is simple & quick. You just need to fill the basic details like name, contact, address & your KYC document details along with a nominal fee of Rs. 100 to make your search interesting. So, next time when you visit a Shriram Automall, don’t forget to check out One Stop Classified Kiosk - Making Search Easy! Buying a used car, have a look at these points to consider while you inspect it. For buying used car in Delhi contact Shriram Automall now. Shriram Automall India Limited (SAMIL), India’s No.1 platform for exchange of pre-owned vehicles and equipment has been recognized with accolade by “Disruptive Tech & Innovation Awards 2016” under the category of ‘Best Disruptive Innovation of the Year - Automotive”. The award ceremony was conducted on 20th December 2016, at Vivanta by Taj, Bangalore. 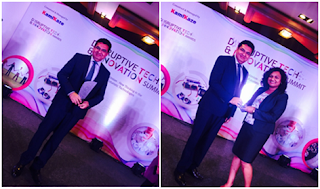 The award for Best Disruptive Innovation of the Year – Automotive has been rightly given to SAMIL as the company has provided the industry with disruptive innovation in form of transparent & organized platforms for acquisition & disposal of used vehicles & equipment. 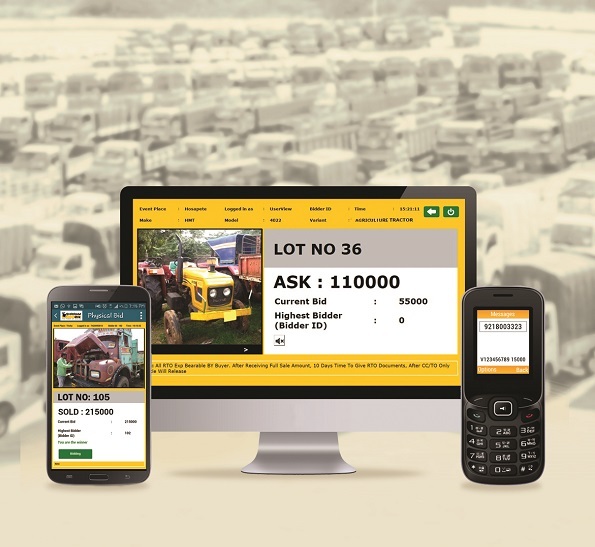 Our unique bidding events have always been the most exciting industry events and people from even the remotest corner of the country like to be a part of these events to buy or sell their used vehicles & equipment in a transparent & easy way. Shriram Automall provides a unique bidding platform - Physical Bidding Platform to the pre-owned automobile industry to acquire and dispose used vehicles & equipment. Moreover, Shriram Automall is the first and only company to conduct Physical Bidding Events in India for pre-owned vehicles & equipment. Started in 2011, it has served over 3.5 Lac unique customers, conducted over 35,000+ bidding events which resulted in a successful 5 Lac+ transactions. What if you want to own a second hand vehicle but don’t have enough resources, so what are your options? Simple you can finance your vehicle, but is do you know everything about second hand car loans and finance. It is always recommended to polish your skills on used vehicles and then go for the new ones – the saying is finding an apt application in car segment of India today. Most of new drivers prefer to opt for pre-owned vehicles before investing huge money in new one. Though, acquiring financial help for used cars is nothing less than headache at present. There are 2 factors that play a vital role in pre-owned car loans to be precise its age & the model. Also, the bearer is needed to pay a hefty cost for used car as compared to new car. In India, people availing pre-ownedcar financing options have to pay 3% more than the amount they are required to pay for latest cars. And, lastly, there is more chance that you may not get the complete value of the car as loan. As per norms, used car loan is granted only when age of the car and loan’s tenure do not go beyond 7 years in combined manner. Thus, if you are planning to get loan for 5 years, the age of your vehicle should not exceed two years in any condition. If you need a loan for 3 years, than the age must not exceed 4 years and the same is applicable for lesser years. These days you have enormous options available in market for you to choose from among the second-hand cars. And along with the car many options of organised dealers are also available. These dealers source the cars, & put them up for sale. Moreover most of the banks & NBFCs are at ease while financing a car through an organised dealer because of the due careful checks done by the dealer, which reduces the financiers' risk. What we suggest you today is to connect with Shriram Automall, which solves both of your problem. 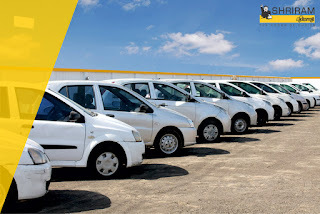 Shriram Automall India Limited is the leading service provider in used vehicle industry and provides services from Parking to disposal, from acquisition to finance and Insurance Services. Being a wholly subsidiary of Shriram Transport Finance Company, Shriram Automall is providing customers with all the integrated services to serve them with the best of services for used vehicles. Having a large inventory of Used Cars and equipment, Shriram Automall provide customers with nothing but the best through its unique and Transparent mode of dealings i.e. Bidding Events. Going back to the emergence of the Indian pre-owned automobile industry a decade ago, in the absence of organized players, the market was primarily relying on internal exchange mediums among friends, family and acquaintances, which accounted for over 60% of the market. And remaining 40% of the market was controlled by multiple small local unorganized dealers. The industry seems to have come a long way ahead since then to a much more structured scenario with numerous renowned organized players such as Shriram Automall India Limited regulating the market currently. Organized players like Shriram Automall have brought about technology playing a pivotal role in the pre-owned automobile industry too. Several technological developments during the last couple of years in the industry have substantially influenced the buying and selling patterns of old vehicles in India and have visibly made major alterations in the customer buying behavior today. At Shriram, these changes are well understood and every attempt is made to embrace the new trends and utilize them for the customers’ benefit. 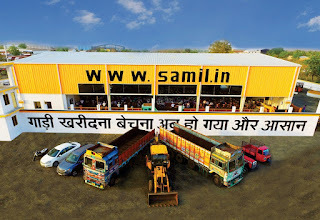 SAMIL employs the advanced digital marketing tools and techniques to connect with its target audience at a deeper level with every marketing campaign. For the company, it is all about the quintessential digital engagement with the customers and how well it is able to connect with them. Pre-owned automobile industry in all is witnessing a stark rise in the marketing patterns with tools such as SEO, SMM & SMO being put to extensive use in executing every marketing strategy. The world has gone digital and with technology breaking all barriers with the new-age smart phones, the entire market is just one click away. In the times of instant notifications, digital marketing gives simple yet highly time-sensitive opportunities to a brand. All this has made the world a digital channel and its significant impacts are visible also over the used vehicles segment. SAMIL provides unique and exclusive digital platforms to give better service to its customers through features such as online bidding, desktop live bidding, SMS bidding. We have also introduced our mobile application to have our customers reach out to us instantly at ease. SAMIL believes in ensuring complete transparency in transactions and conducting them in a professionally structured manner. In case you or an acquaintance is on the lookout to purchase or dispose any kind of used vehicles in India, this is the place to be. Simply submit your requirement and get a quick call back from Shriram Automall to assist you further. WHAT MAKES A NEW CUSTOMER CHOOSE A USED CAR TODAY? The times are changing and automobile industry is corresponding with it. To prove this fact, we will see the autonomous vehicles running around us without a driver in a span of 2-3 years; also the vision has been broadened to invent flying cars for the future. While all these are big revolutions on its own, the mindset of people today has changed and become practical enough to think both ways for a situation. Let’s take the example of the used car industry today, few year ago buying a used car was a sign of poverty and low income however today entire country has shifted towards the used vehicle market, not just cars but also the big ticket items like commercial vehicle, construction equipment and others. The ration between a new and used vehicle is 1:1 which means whenever a new car comes out of the showroom, a usedcar accompanies. The momentum of sales have been felt by one and all and that is the reason why we have seen more and more organized players coming into this sector to eat the pie. One of the most trusted players in this sector is Shriram Automall which has redefined the ways how used vehicles are sold in the country. Their transparent buying and selling platforms have been recognized by highest industry bodies. SAMIL offers the most extensive lineup of used cars to choose from under single roof and that is why the company witness huge turn up of customers’ event after event in search of a good car at optimal price. Winters are finally here and it has already made us think twice before getting out of the bed from the cozy quilt and go to work. With work we remember driving a car. There are some days in winters where most part of the country are fogged up and makes driving difficult. Here we bring you some tips on how to drive better on a foggy winter morning. Mist is a common problem on a winter morning, to tackle this most of us runs dry wipers to clean it. Don’t do this; instead run the wipers with fluid for better car hygiene and cleanliness. As there is difference between the temperature outside and in your car, your windows will easily fog up and minimize visibility. Hence to clear the fog, use the front and rear defogger and switch the AC. While sitting make sure you adjust your seat to the highest level for a clear view and keep your eyes fixed on the road. You are advised not to drive in HIGH BEAM as it will reduce the visibility in fog and may even give you illusion of white wall. However your headlight and fog lamp will come in handy. You will drive better if you follow the white lines on the road and by keeping the Google map in your hand for a better road idea. Bigger vehicles emit more heat and therefore tend to disperse more amount of fog around, so it is a good idea to drive behind a truck or a bus in foggy conditions, but don't forget to maintain appropriate distance. Above tips to drive better on a foggy winter morning brought to you by Shriram Automall – India’s Largest Service Provider for Exchange of Used Vehicles & Equipment. When a person thinks of buying a used vehicle in India the first name that comes into the mind is of Shriram Automall, this is how the company has created its place in the society. 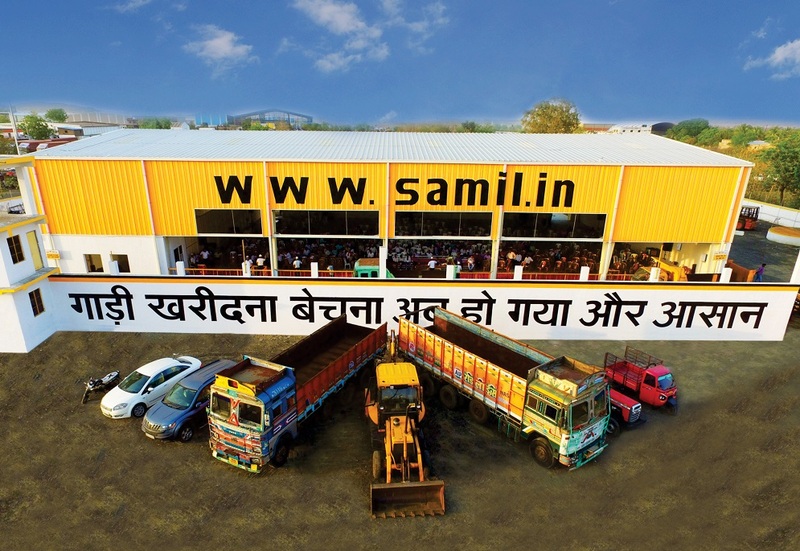 In a small time of just 5 years SAMIL has emerged as the single largest and most trusted platform for exchange of used vehicle & equipments in the most trusted manner. Started with the Chennai Automall in 2011 the company recently inaugurated its 63rd Automall in Dhule, West Zone. While SAMIL has managed to reach from all metro cities to remotest corners of the country, the plan now is to bring the Automall’s near our customers in the less remaining cities. With all these Automall setup the company aims to increase its market share in the organized sector dedicated for exchange of used vehicles & equipment.